Hacking the Internship Process is designed to maximize your internship application results. 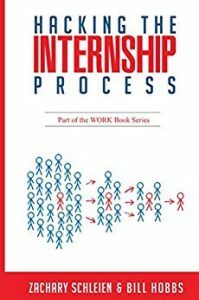 The authors provide a smart, innovative methodology that leads readers through every aspect of winning their dream internship. The book optimizes reader efficiency by combining the most modern technological tools with “hacks” proven to get results. Follow simple steps in the book to build a powerful referral network, reach out to future bosses, ace interviews, and much more. Hacking the Internship Process is the perfect guide to get you on the path to obtaining the internship you have always wanted and prepare for a successful career in the field of your dreams.